Calling all culinary connoisseurs! There’s no better way to get a taste of Oahu than by exploring the area’s many local eateries. During your trip to the island, you’ll discover an assortment of casual, elegant, budget-friendly, and high-end Oahu restaurants. Whether you prefer a casual cafe or an upscale dining experience, reserve a table at a few of these fantastic dining destinations and transform your Oahu getaway into something special. After choosing which restaurants to visit, be sure to request access to our complimentary Oahu Travel Guide for even more local recommendations! This delightful cafe is located in the Haleiwa Marketplace, so it’s a perfect place for an on-the-go breakfast. The freshly baked pastries at Coffee Gallery can’t be missed! We recommend the cinnamon rolls and lavender coconut scones. You’ll also love that this cafe sells freshly roasted coffee beans (and grounds)! Waialua Bakery is a must for lunch! It’s a charming, local sandwich shop where the bread is freshly baked and the turkey is roasted daily. We love their smoothies, fresh cookies, and bright yellow building that can’t be missed. Waialua is also a local surfer hangout! Grab one of their sandwiches to-go as you head out to experience The North Shore’s many things to do! For a more traditional dining experience, make a reservation at The Beach House! This spot is located across the beach at the tip of Haleiwa Town. The food and view are some of the best on the North Shore! Translated from the Portuguese term meaning “fried dough,” Malasada’s is a food truck offering gourmet breakfast donuts. Find it in the Koko Marina Shopping Center! We recommend starting your day here before heading for Hanauma Bay. The perfect way to fuel your fun at Waikiki Beach is to pick up a to-go acai bowl, sandwich, salad, or smoothie from Tucker & Bevvy Picnic Food. These meals are designed for beach picnics and hikes, so there’s no better lunch for a high-energy South Shore getaway. We’d be remiss if we didn’t recommend an upscale dinner at Nobu, a branch of the famous New York City restaurant (where reservations cannot be obtained unless you are famous or willing to wait months for a table)! Freshen up, wear your best, and enjoy some phenomenal sushi and seafood. A stay in the beautiful Oahu countryside calls for an exceptional, no-frills breakfast at Hukilau Cafe in Laie, located between The North and East Shores. Here, you’ll enjoy simple, expertly crafted favorites like Macadamia nut pancakes, sweet bread French toast, and Kualoa pork hash. Another simple and delicious meal you’ll want to enjoy during your stay on the East Shore is a platter from Uncle Bobo’s Smoked BBQ! At this unassuming local eatery, dine on either traditional American BBQ or Pacific foods such as stir fry with peanut sauce. 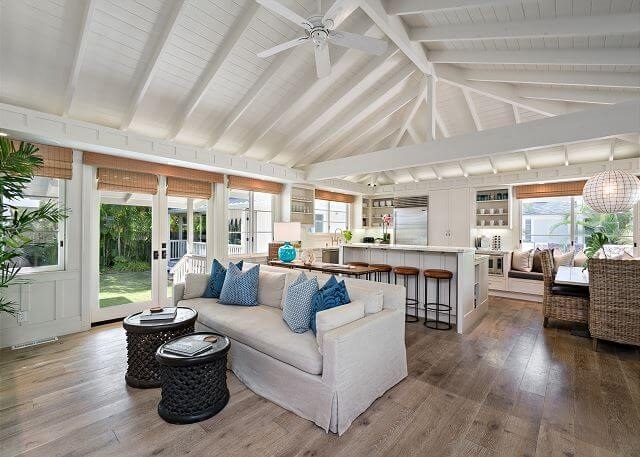 This rustic spot is located on East Oahu’s Windward Shore near Kailua Beach. At Buzz’s Original Steakhouse, you’ll enjoy a dinner consisting of savory, elegantly plated American favorites. Stay Near All of the Best Oahu Restaurants! After exploring the island’s best restaurants, you’ll want to return to comfort and luxury. That’s why you need to reserve a bright and airy vacation rental in paradise with Hawaii Beach Homes! 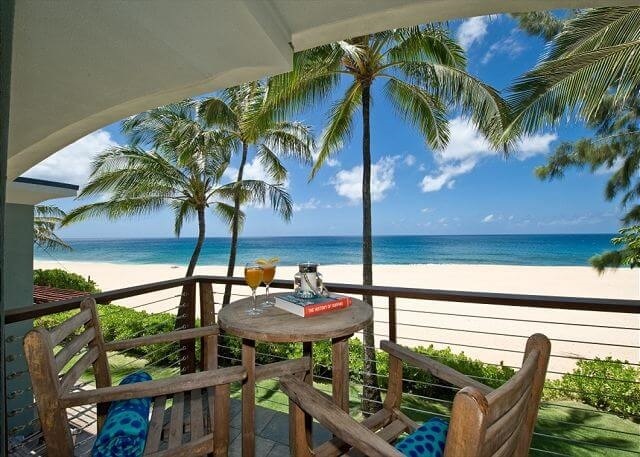 We offer a fantastic selection of beachfront homes on the North, East, and South Shores of Oahu. The best part? 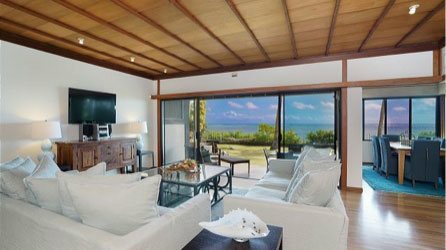 If you don’t feel like cooking up an elaborate meal in your spacious kitchen, your comfortable, breezy rental is never far from some of the island’s best local cuisine. No matter where you stay on Oahu, you’ll be close to all of the best things to do on Oahu like surfing, shopping, touring museums, and embarking on lighthouse hikes! Ready for the ultimate beach getaway complete with delicious local food? 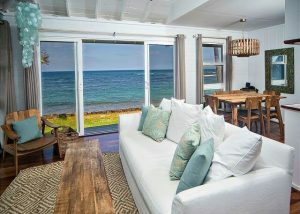 Book a stay in one of our beachfront homes today! We look forward to hosting you.